In 1791, a confederacy of Indian tribes, encouraged and supported by the British, attacked settlements in the Northwest Territories. 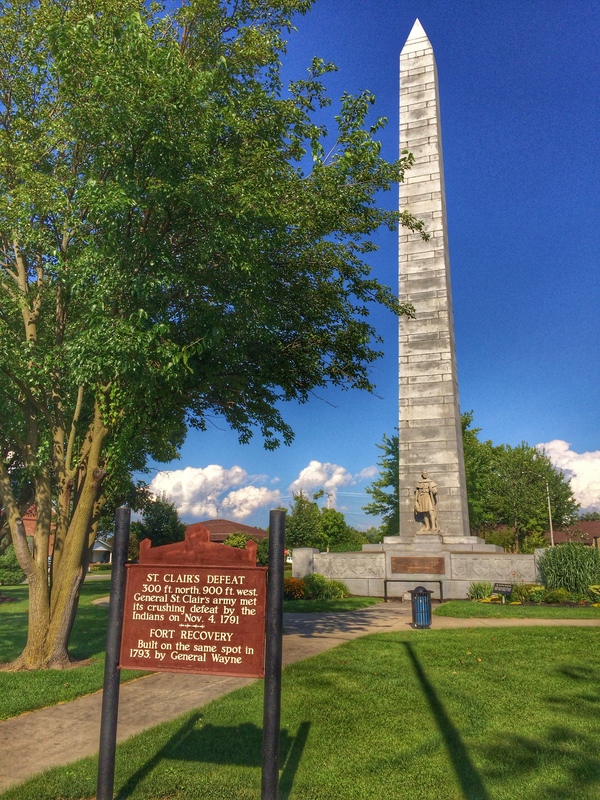 Territorial Governor Arthur St. Clair led a poorly-trained and poorly-equipped army of militia from Fort Washington (now Cincinnati) into the region to confront the Indians. 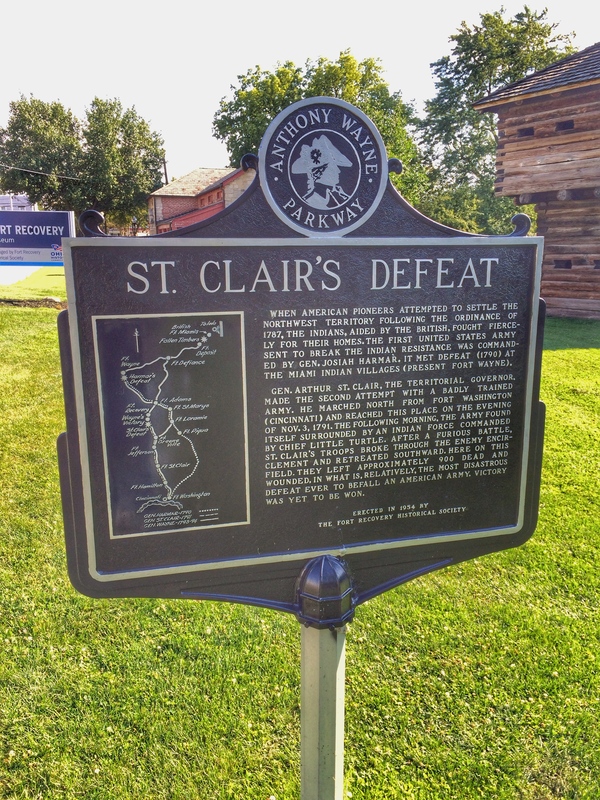 On November 4, St. Clair’s army was camped where the town of Fort Recovery now stands. The Indians, under Little Turtle and Blue Jacket, attacked and soundly defeated the army, killing and wounding more than 800 Americans, about 97% of the army. St. Clair wasn’t a good general, but he fought bravely, receiving several bullet holes in his clothing and losing a lock of hair. The remains of his army fled in a rout, and he was soon forced to resign his commission. 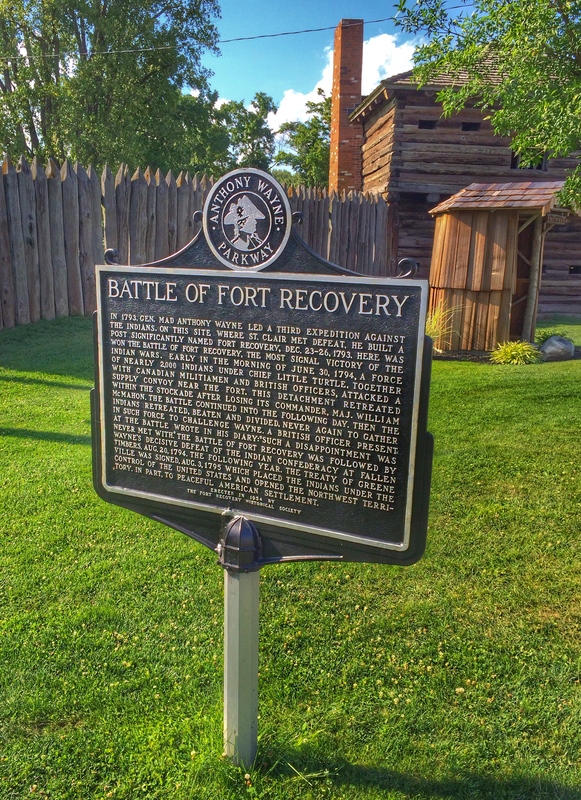 In 1794, Mad Anthony Wayne led another force into the region and built intentionally-named Fort Recovery on the site of the earlier battle. 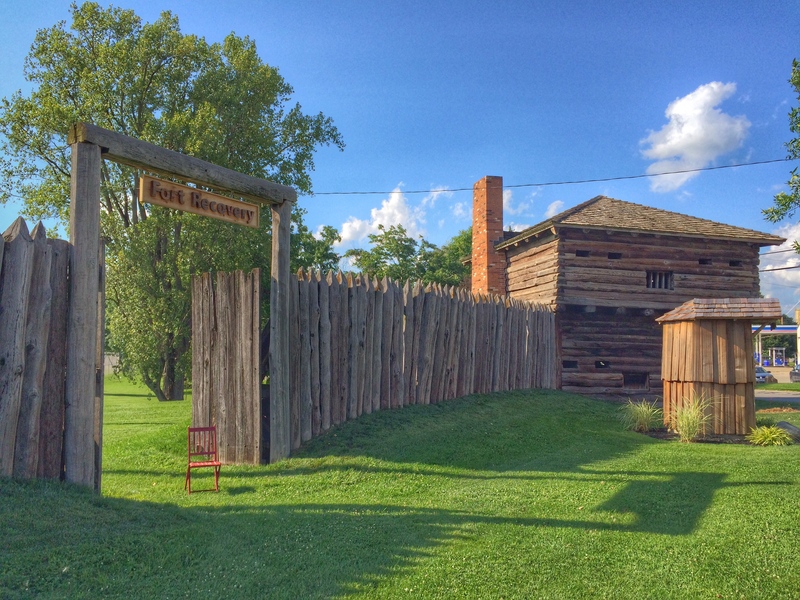 The Indians and British attacked the fort in June but were repulsed. 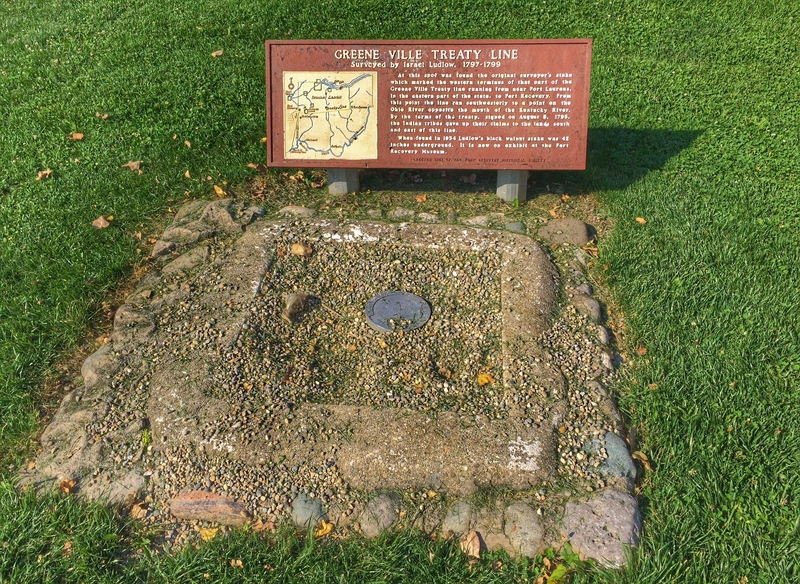 The Indians and Americans signed the Treaty of Greenville, which opened the lands east and south of the fort to settlement. 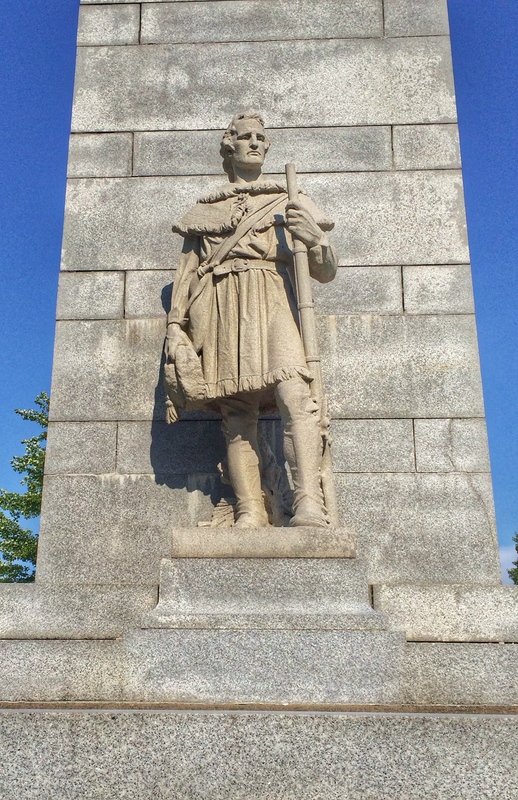 In 1912, a monument was built over the grave of those who died in the battles. It stands 101 feet tall. 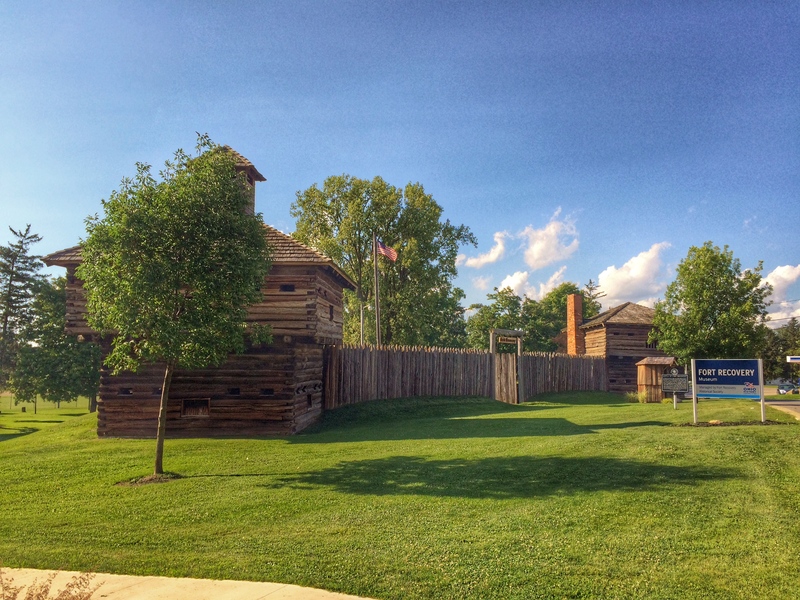 A partial reconstruction of the fort — one wall and two blockhouses — has been built a couple blocks from the memorial. There’s also a museum, but it was closed by the time we arrived. Which is just as well. If it was open, I would have gone in. But it cost $5, isn’t very large and is filled with mannequins dressed in period costumes. 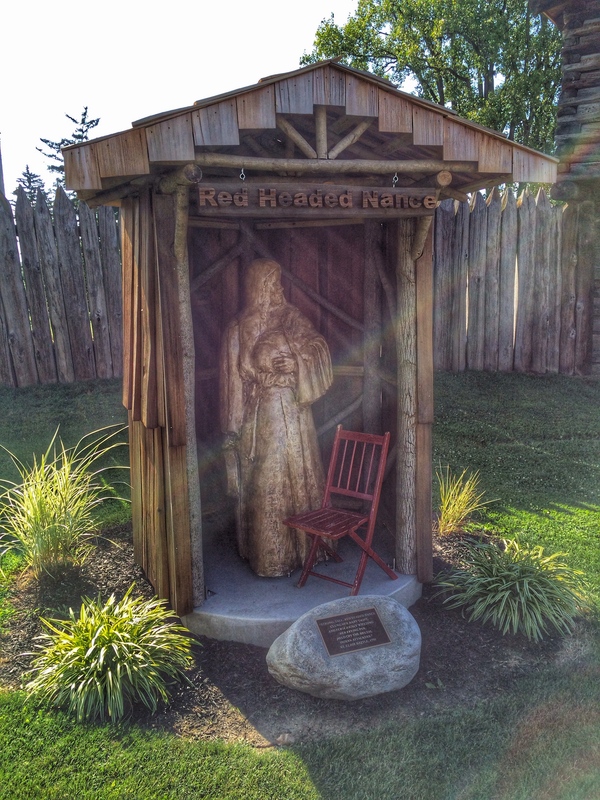 This entry was posted in Battlefields, Forts, Red Chair. Bookmark the permalink.